A turnout of 5 senior players and 3 juniors attended in March where 2 separate WASPA categories were formed so the juniors could maximise their enjoyment playing against each other with the same skill level. 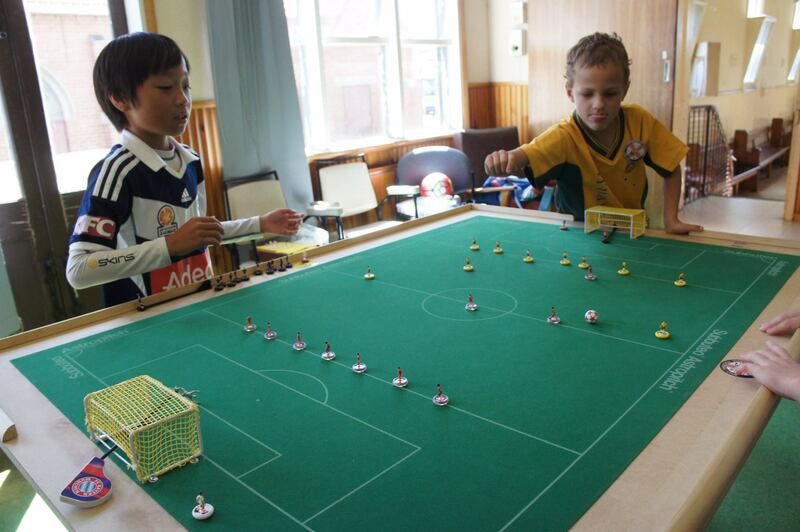 Chris Hannington was also a brand new entrant and played his first ever Subbuteo games with the junior players. Juan had returned for a second stint which solidified his interest in the game and had begun investing into his own teams already! Although it proved to be a difficult outing for him against the more experienced players, he managed to score a goal against Adam losing 2-1 in a tight contest. Benny managed to finish first place in the 5 man round robin format, where defeating Benji proved to be crucial, finishing two points above second placed Luke. 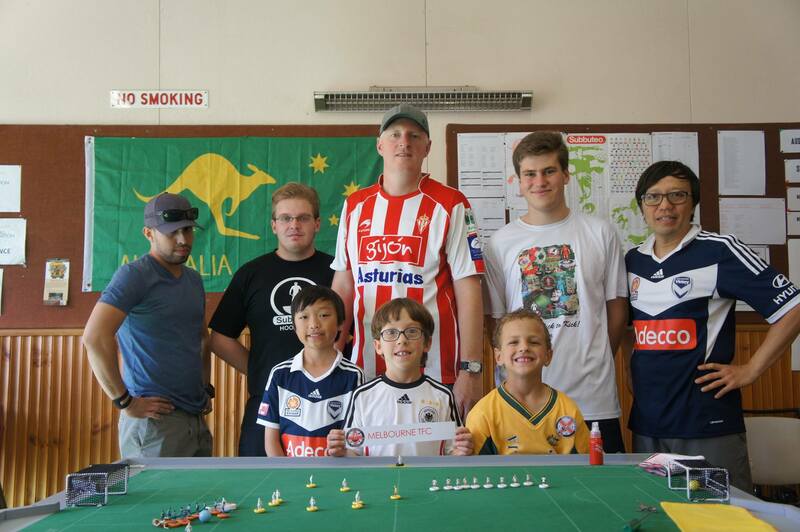 A play-off final was formed between 2nd and 3rd place to decide the 2nd grand finalist where we saw Luke up against Benji, their previous game finishing in a 0-0 draw in the round robin. It turned out to be a slug fest with Luke dominating possession and shots in the first half in which he found himself 1-0 up at halftime. The second half saw Benji slowly getting back into it where he managed to find holes in Luke’s iron curtain but was kept at bay from his goalkeeping. It was the same case on the other end as Benji’s goalkeeping frustrated Luke and looked as if it would be impossible to score another. It was a heated contest with moments of confusion on the pitch with the complexity of the rules, which only ran down the clock and adding salt into the wounds of Benji as this marginally diminished his momentum of searching for an equaliser. It ended 1-0 to Luke. Benny and Luke faced each other in the grand finale, both remaining undefeated on the day. 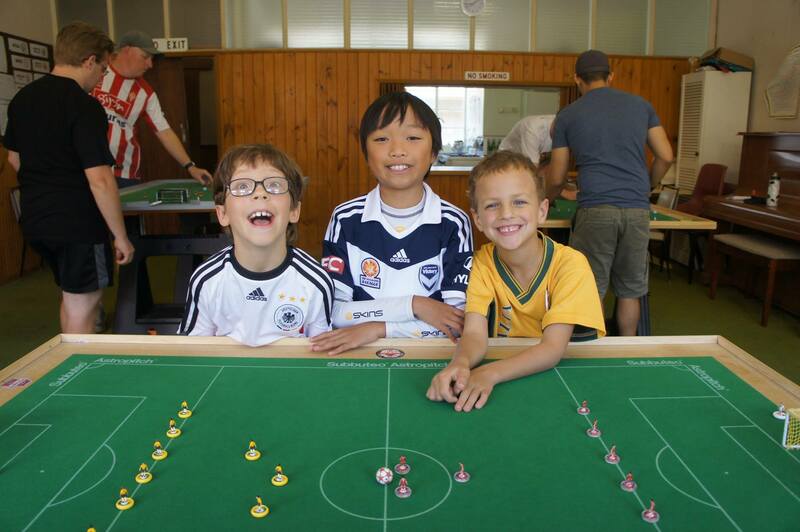 It turned out to be a 0-0 draw with both Benny and Luke equally matched. It was unfortunate that neither managed to find the net compared to their previous bout ending in a 1-1 draw in the round robin. It was however, decided on penalties where Benny won scoring the only goal. This marked a significant win for Benny, who had won his second WASPA tournament and also witnessed his son, Benjamin, taking the junior crown in his tournament, marking March 2016 as the month of the Ng family victorious in Melbourne. 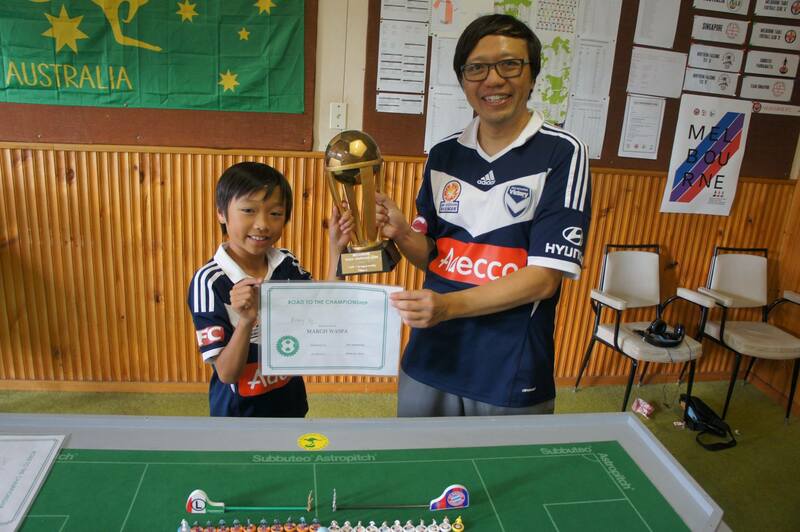 This entry was posted in News, Tournament reports on 21/03/2016 by subbuteomelbourne.